Want to know how the industry is predicting marketplace trends 2019? 2018 is coming to its end, and what a year it has been! 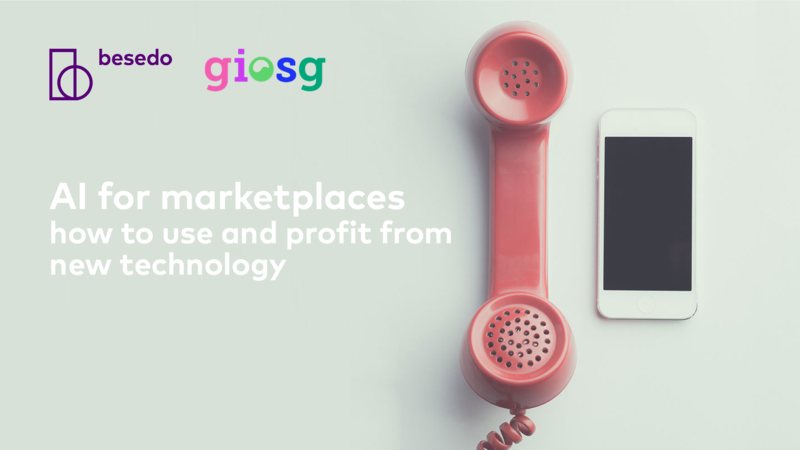 We entered the year talking about classifieds becoming marketplaces, by enabling complete transactions through payment solutions on their sites. And we’re leaving it, with marketplaces looking to expand their offerings with more value-added services, beyond transactions, to complement their offering and make sure that users have the best possible experience on their site. In an industry where it feels things can change overnight, it makes you wonder what will happen in 2019? In order to answer that question as accurately as possible, we turned to the ones who know the most about our field; marketplace experts and professionals. Here is their prediction of marketplace trends 2019. The industry’s verdict; here are the top marketplace trends 2019. “Digital marketplaces will continue their growth in 2019 and I believe that transformation will not be radical, but more disruptive business models will continue to appear. AI will continue to drive transformation and I am sure it will lead to more AI driven marketplaces. The three main categories where I believe this technology will be most influential are categorization, fraud prevention, and price recommendation. Optimizing for voice search will be certainly a growing activity. I also see a shift of paradigms in the online classified businesses as it seems to be moving towards tech businesses and also towards transactions model. I am looking forward to seeing what the new developments in the business will be. “For years, trust has been the mantra of marketplaces, and that continues to be true in 2019. However, trust is just one of multiple key elements in a more personalized user experience expected by visitors in the new year. Time is money and users will not want to scroll through page after page of listings irrelevant to them. If you want to win you present your visitors with a few, but high quality, safe and relevant search results. To be able to provide a truly personalized user experience for each individual visitor, marketplaces will also have to truly embrace machine learning in 2019. Without good algorithms in place, it will be impossible to predict needs or label content in a way that will provide sellers with quality leads and buyers with great recommendations. Finally, with the move from classifieds to marketplaces that offer a full stack experience with value-added services, it will be more important than ever for companies to free resources from tasks that business critical but aren’t adding to their USP. “As a lot of pivotal trends are on the rise, 2019 is going to be a very interesting year in the industry – like a season finale of a Game of Thrones season. The online classifieds are being pressured on one hand by performance players like facebook and google moving into new categories, on the other hand, by players coming from the transactional side like fix-pay tech-enabled brokerages etc. Verticalisation: in order to serve users better, launching platforms for each segment of users. Move into transactions and performance: additional costs related to new tech need to be covered by deeper integration into the value chain. The marketing revenue pool simply won’t be enough. From destination to distributors: classifieds will still use their domains and brand to attract traffic but will use those platforms to segment users and send them to the most fitting vertical, rather than trying to service them all within one platform. “The market is changing in 2019 with the European Emission Test changes where it is directly proportional to the Road tax and also Company car tax in the UK. 2019/2020 being the second stepped rise in three consecutive years in cost for both tax elements. This means a change in the profile of new cars being registered with Diesel registrations expected to fall by 8% and petrol and electric expected to continue to strengthen. This is mainly down to people withdrawing from company car provisions and replacing it with a personally ran car and claiming Mileage from their employer or asking for an additional salary increase to compensate. “The year 2019 will be a turning point for the whole marketplaces industry. A perfect storm of AI-driven technology shift combined with mobile first trends and generation shift with millennials taking over shall force all industry players to adapt quickly or vanish. Already, several newcomers on the market are disrupting the legacy system, and there is no comfort zone for legacy monopolistic brands anymore. Competition is global and local at the same time, so there is no place to hide. “Buyer-seller conversations on marketplaces, especially in the high-value automotive and real estate, are still likely to start with a call in 2019, but they’re increasingly unlikely to end there. Our data shows conversations that start as a phone call or on-platform chat rapidly move to a preferred communication utility like WhatsApp – where sharing information is easy, instant and media-rich. “It’s hard to believe another year is behind us, 2018 was a fantastic year and 2019 looks like being the year of the consumer, it’s all about you! Peer to Peer is here! The sharing/gig economy has been growing fast, it’s enabling individuals, manufacturers and small businesses to sell direct, build real relationships and fuel local economies rather than big corporates pockets. Keep an eye on automotive, clothing and homewares moving to new models next year. It’s been quite a year for privacy and Identity with fraud and data leak scandals appearing every day. It’s so important that we are all able to validate that you are who you say you are, without having to “do stuff” in the analogue world. We’ll start to see super simple ways to verify your identity, move your ID from site to site and have confidence that others are who they say they are too. Nothing will be more important than Trust, it’s the ultimate customer-centric measure. Without it, you can’t have loyalty, and without loyalty, you don’t have customers. Trust will take center stage in 2019. AR, VR, and IoT – am I predicting a rise in acronyms? Not quite, but we’ve been playing with Augmented Reality, Virtual Reality, Voice Commerce and connected devices like watches for a while. In 2019 we’ll start to see a huge uplift in sales, customer service interactions, and beautiful shopping experiences. True Omnichannel experiences in retail are the only thing that can save our high street brands. We’ve been talking about this for a decade but in 2019 multi-channel marketing and multi-channel interactions to sell products will be at the heart of everything. Done properly you can expect 166% higher engagement than single-channel campaigns. Finally, we know that Real Time and Controlled Payments are set to go boom and delight consumers in 2019. Everything we are seeing is being driven by demand for real time, instant payments. This means you can pay or get paid in seconds. Couple those instant payments with new ways to protect yourself. At Shieldpay. We hold your money until you’re ready and move it in real-time when you’re happy. Good times. 2019 to me will be the year where consumers are finally at the centre of everything. You’ll be super confident buying, or selling with anyone, anywhere online – and what’s more, you’ll be able to make that happen by shouting at Alexa from your bed! Is your marketplace ready to compete and grow in 2019? As the marketplace industry has kept on changing, the role of content moderation has changed too. With moderation previously only seen as a fraud prevention activity, it has now developed into becoming an enabler for marketplaces to achieve high content quality, user safety, and excellent user experience. It’s vital to have a solid moderation set up in place in today’s landscape, but it may not be what differentiates your site 2019. In many cases, it may make sense to outsource parts of or your entire moderation to a third-party solution provider who’s an expert in the field. This will help you free up valuable resources to develop innovations that will boost your competitive advantage. If you want to learn more about content moderation and how we can help your marketplace grow, get in touch with a moderation expert. We wish you a happy new year and a successful 2019! At some point, most early-stage online marketplaces reach a point where it makes sense to look for investments to continue accelerating their growth. Only 6% of new companies manage to secure the investment needed every year. If you want to succeed in getting funding it’s important that your business is properly prepared and ready for investment. In our webinar ‘what VC’s actually look at before investing in an online marketplace‘, investors Mathias Ockenfels and Daniel Hoffer share exclusive insights and thoughts on how marketplaces best prepare to get funded. Expert Q&A on how to secure funding for online marketplaces. Following the webinar, the audience had an opportunity to ask questions of the investors. Now we are sharing all the answers to help other marketplaces prepare for investment. Q: How do speakers validate the valuation of pre-seed or seed level startups? A: The actual “validation” of a company’s valuation that we have used when investing happens in the following round when new, external investors come in and set a price that is – hopefully – higher than the price we’ve previously set. If the question was geared towards the way how we “set the price”: It happens based on fundamentals of the business, such as e.g. revenue & user growth and absolute (monthly) revenue number and other relevant KPIs as well as simple “market dynamics” – demand drives the price so several investors competing for a deal can drive the price (= valuation) of the company. Q: What’s the future for online marketplaces? Is there still space for new players? A: The answer to this question would probably require and merit its own “webinar” so I am just trying to keep it short and crisp here: New technologies such as blockchain or also AR/VR devices enable new opportunities to build marketplaces in areas that do not even exist today. It also allows new entrants to disrupt incumbents in already existing fields by applying new solutions to better solve an existing problem. Q: From an investor’s point of view, is it better to have good traction in a single smaller area or to have a broader global presence? 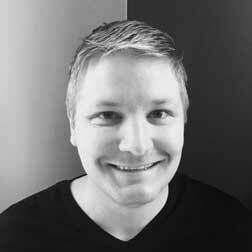 Q: Should I implement monetization before I look for funding? A: Without knowing the details of the particular business, it is hard to generalize. As mentioned during the webinar, we, at Speedinvest x, are also investing pre-revenue and even pre-launch. Generally speaking, the more “proof points” the better and being able to “make money” (= monetization) is definitely a strong proof point. That said, often trying too hard to optimize monetization too early can harm your growth and overall potential of the business. Q: Is there a difference between go-to-market strategies for Europe and the US? A: Again, it’s very hard to generalize as it very much depends on the particular business. Overall, there are, for example, different regulations and mentalities between countries and regions which may require adjustments in the product and/or go-to-market that might differ significantly from each other. For example, Uber faced strong headwinds from regulators when they tried to expand their US-American model to Europe and tried to “copy it 1-to-1”. In many cases (i.e. countries) this did not work, and Uber failed to expand to these countries (e.g. Germany) and eventually lost those to local champions that adjusted – or better – “localized” the model to local “standards”. Q: Will I have to give up control of my company if I accept funding? A: Venture Capitalist typically only take a minority stake in the company and do not aim “to run the show”. If I believed that I would be better at doing something, I would found the company myself and not invest in another entrepreneur or team. We look for founders that are specialists in their field and understand their business better than we, as investors, do. Q: How do I calculate market size? Q: What’s the best way to prove product/market fit to an investor? A: See more on this below in my answer to the last question. In general, the usage and hence engagement of the users of our product should be “in line” with the use case the product is targeting and hence the problem it is solving. This might differ significantly based on what market you are in, whether it’s a B2B or B2C product etc. Strong, supporting references from first users/customers are an important indicator, too. Besides, people paying for your product is always a strong signal as it shows general willingness to pay and that the product is actually solving a real problem worth paying for. Q: How do I prove the network effect of my platform if it hasn’t taken off yet? A: Network Effects typically only unfold and become more “tangible” after a certain, critical mass of users or data is reached. Then they become traceable through cohorts (retention of users by activity & revenue). Until this is not the case, you may use indirect indicators such as (a high) buyer-seller-ratio, active users from organic traffic growing quicker than those coming from paid, (a high) virality coefficient, high NPs (as indicator for word-of-mouth) or engagement of your community (if applicable) through ratios of MAUs vs. WAUs vs. DAUs (more on that below). Q: You mentioned engagement numbers earlier as one of the KPIs you look at before investing. Could you give some more details on which numbers are important and perhaps how marketplaces you have invested in achieve great numbers there? A: Pls see my answers to above and below questions. The “benchmark” very much depends on the problem your product is trying to solve. What usage pattern would you expect based on the e.g. buying behavior of customers on both sides of the marketplace? That`s your benchmark! Q: Do investors look at how prepared my company is for scaling? A: The easy answer to that question is “Yes”. The crux is what does “scaling” or “scalability” actually mean? As a general thought, it basically means that the business is ready to grow x-fold in size (in terms of revenue, customers, users) in a given period without having to add the proportional amount of manpower/headcount and, at the same time, maintaining healthy unit economics (CAC to CLTV-ratio etc). Usually, this can only be achieved through product automation, a scalable technology platform and efficient marketing/sales. Q: What does an early-stage startup need to achieve before they begin looking for investments? What would be the first signal? A: It very much depends case by case. If you want to learn more about how to prepare for your Series A financing, you can read more from me on this topic here. For more early-stage seed-funding, I would recommend this transcript of my interview with Besedo. Generally speaking, it’s always helpful to show early signs of product-market-fit with a minimum-viable-product that customers/users actually use along the usage patterns you would expect from the particular use case the product is addressing – or better – the problem it is solving. For that we look at Monthly, Weekly and Daily Users (MAUs, WAUs, DAUs) and their ratio to each other as well as related cohort analysis. Prepare your marketplace for funding. To help you prepare your site for funding we encourage you to download the checklist on how to optimize your marketplace for funding. Success comes from user engagement, and engagement increases with the quality of your content. Get started with your moderation at an early stage to ensure high quality user-generated content on your site. Our all-in-one content moderation tool, Implio, is available for free and will help free up your time to do what you do best – growing your marketplace.